Ahoy my special readers! You may be wondering why the title of this post says "Your Place for Everything Kingsisle 24/7". Well in these next few moments I will answer that. Meanwhile, these past 2 days I have been working non-stop on tons of information for the one and only, "Your Place for Everything Kingsisle 24/7" Database, Kingsisle Universe. I have filled out countless charts that contain information on all the school spells, the schools in general, different world information, and our blogs/fansites page that contains links to fansites and blogs we like. Now since Kingsisle Universe is a website that consists of all things Kingsisle related, we have both Wizard101 and Pirate101 links. You can view the blogs/fansites page here. If you run a blog or fansite and would like to see it added, you can just send an email to kingsisleuniverse@gmail.com with the title as "Blog/Fansite Add" your link attached and we will make sure to add it to the list. Now let's talk a little about Kingsisle Universe shall we? Basically, as I said in my previous post, Kingsisle Universe is basically a massive database, semi-kingsisle version of facebook, mixed with a forum and other incredible stuff. You can view anything ranging from the lore of Wizard101, to the action packed guides with tips and secrets to the difficult quests and bosses that you just cannot beat. To view all things Wizard101 related, go check out the Wizard101 section of Kingsisle Universe at kingsisleuniverse.com/wizard101-insider. As for the Pirate101 aspect of Kingsisle Universe, we have a decent layout so far with the lore of Pirate101, and just about everything Kingsisle has released so far. Once Pirate101 goes live, our database on it will explode and we will have tons of new data on Pirate101 and just about everything relating to it. Quest guides, henchmen tips, and battle tips will all be included once we have the proper information. If you want to see what we have so far, please go and check out the Pirate101 Voyager part of the website at http://www.kingsisleuniverse.com/pirate101-voyager. In addition to all the amazing stuff we offer over at Kingsisle Universe, we have a exclusive Members Club where Members (and non-members) can come and check out our amazing forum, fan fiction, and fan art! In our forum, we have everything needed to make a good forum. Tons of sections, amazing guides, tips, and just a place where everyone can come together and discuss what they love most... Wizard101 and Pirate101. We strive to bring you all the current Kingsisle news and help you succeed in our travels throughout the Spiral. 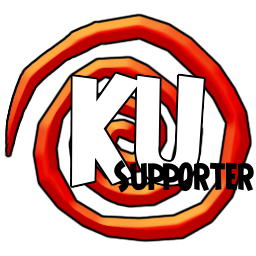 Now, if you want to show your support to Kingsisle Universe, make sure to sign up here and then you can also display this one of a kind Kingsisle Universe Supporter badge on your blog or anywhere. If you scroll down, you will see I have one as do many people in the community. Make sure to grab yours from bellow. wow, you guys are doing a ton of works, sounds like a great project...looking forward to seeing more of it. "universe" is the right word, sounds massive. good luck, thx for the post.